Ever Present Communicator is a modern day testimony of God’s dynamic sophistication that permeates every aspect of creation. God is able to use many different methods of communication to offer support and guidance for all who seek Him. The author transforms authentic real world experience(s) into a process that promotes an intimate relationship with God and the ability to manage life’s challenges with divine support. A Personal Bible Study challenges the reader to consider how God consistently communicated with individuals through Biblical history and His promises to all believers today. The Author’s Journal provides insight into the author’s life since he set out to live in the Spirit, by presenting a series of testimonies of God’s unyielding support. * Strengthen your faith in God’s desire to engage with you on a personal level. * Make you aware of the extended range of God’s dynamic methods of communication – including today’s technology. * Motivate you to treat setbacks as temporary and not lasting. 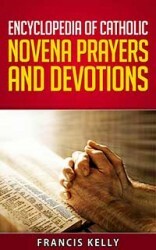 * Demonstrate the powerful intervention of the Holy Spirit.